Amidst the flutter of CES announcements, Google has sneakily reduced the price of the Pixel 2 smartphones in India. According to Gadgets360, Google’s offline retail partners are currently running a Pixel 2 Festive Offer to sell the two Pixel 2 smartphones at a discounted price. During the offer period (reportedly till January 14), the Pixel 2 is available for just Rs 49,999. The Pixel 2 XL, on the other hand, is available for just Rs 61,999. In addition to the festive discounted prices, you can sweep the Pixel 2 XL for an additional cashback worth 10,000 INR on HDFC Bank credit card EMI transactions. An additional cashback worth Rs. 8,000 is similarly applicable to the Pixel 2 purchase as well. And lastly, you can also avail no-cost EMI option for up to 12 months on select bank credit cards. That being said, this isn’t the first time that these devices are available at heavily discounted prices. Last month, Google had also launched its ‘best buy’ offer under which the company was offering the Pixel 2 XL at 64,999 INR. Talking about the online prices, the e-commerce giant Flipkart is offering the Pixel 2 for the same prices. In addition to that, Flipkart also offers Buyback Guarantee for upto one year. 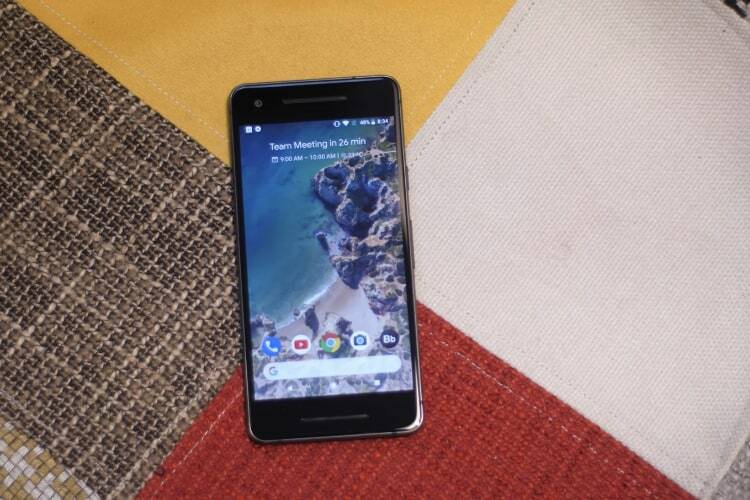 And if Google Pixel 2 isn’t something you’re interested in, then check out some of the other alternatives here.